Priorities: Why Don’t I Do What I Say I Want to Do? Just because you WANT something to be a priority in your life doesn’t make it so. That’s how we end up “making excuses” for not acting on what we THINK are our priorities each day. Following is an example. When he is at first asked to make the trip, he eagerly agrees (a chance to share his expertise with an audience – now that’s a priority he’ll act on). When planning the itinerary with his sponsors, he never mentions or thinks about the promise he has made to himself – when and what he’ll eat or when and where he’ll exercise each day. When planning his first day, he thinks “I have to get a good night’s sleep and still make my flight on time, so I’ll just grab something to eat on the way” (instead of healthy food choices). When asked to stick around a while after his scheduled seminar to further help participants, he graciously accepts; after all, his public awaits. When asked to join his sponsor for dinner, of course he accepts without condition; to do anything else would be rude! Nowhere in the course of accepting the invitation, planning his itinerary, traveling or fulfilling professional and social obligations with his sponsor and host does he mention his Physical Health goals or even privately consider them. In fact, other than periodic moments of guilt and regret, he barely thinks about this priority – this grand intent for his life. And all it might have taken to make Physical Health his priority with these very same circumstances is to have, from the initial request, made it known that he must allow time for an hour of exercise in his itinerary and for making healthy eating choices. Don’t let the mood of the moment interfere with the intent of your life. 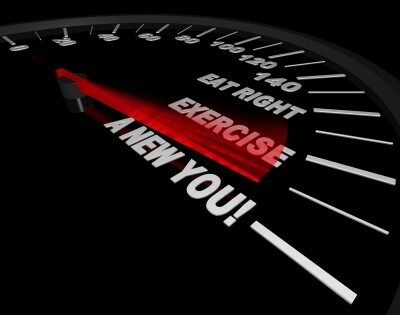 Establish specific goals to achieve that help you live out your priorities and keep them in the forefront of your thoughts, decisions, plans and actions. Make known to others that your priorities MUST take precedent for you. Schedule your priorities (instead of prioritizing your schedule) and work everything else around them. 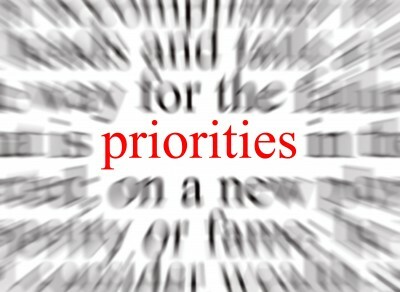 Your priorities are MUST DO; everything else is a “should do” or a “can do”. Review your priorities regularly, as well as the manner and degree to which you are acting on those priorities each day, week or month – On Purpose. People will not be “put off” by your priorities. People of good character will see you as a person of conviction, a person who lives according to your Values, a person with the Courage to live life on Purpose in every moment, not just when when your purpose is convenient. This entry was posted in circumstances, desire, goals, priorities, regrets. Bookmark the permalink.